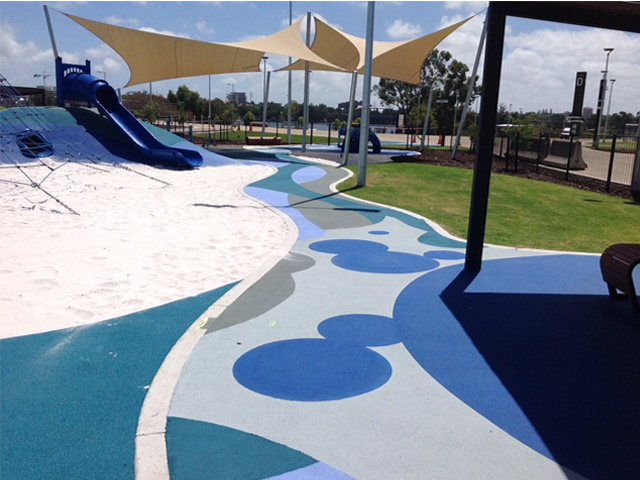 Use a qualified NPCAA member to supply your precast concrete elements and ensure access to the quality range of products out there - like Perth's impressive Elizabeth Quay project. Contracting a qualified National Precast Concrete (NCPAA) member for any precast concrete project is the smart choice and gives you peace of mind. A range of new membership benefits and revised fees are seeing the Precaster membership grow, and with this comes a broader range of products that are available from our membership base. 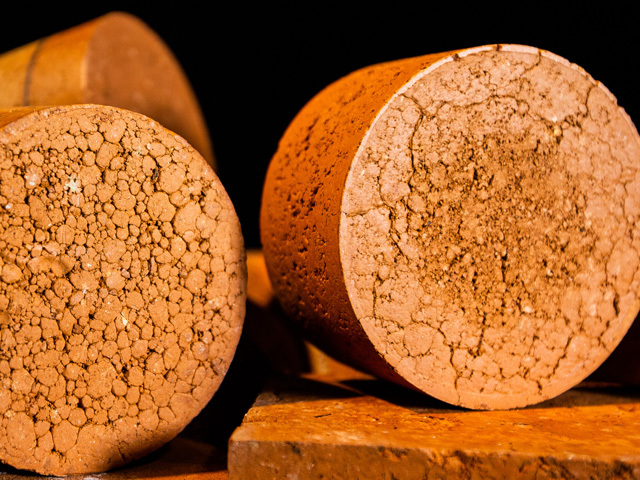 National Precast members are continually making us rethink just what can be done with precast concrete. 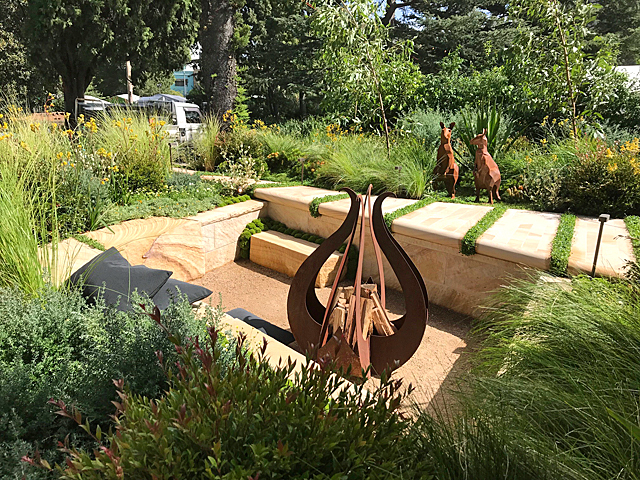 They have long been involved in the manufacture of various types of landscaping elements that address both form and function requirements. 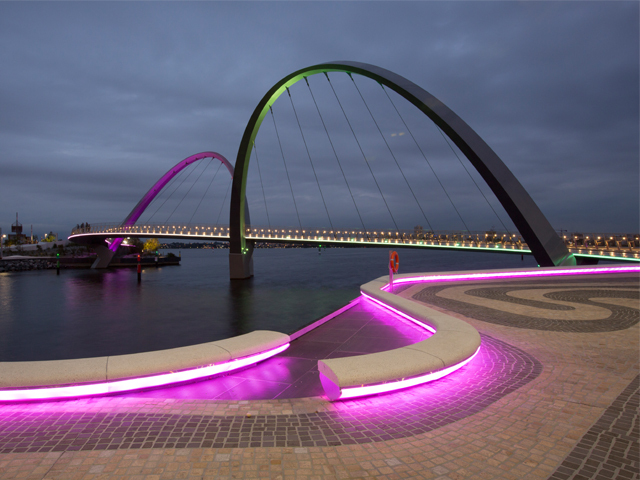 Just one impressive example is Perth’s Elizabeth Quay area, which boasts stunning precast seating units manufactured by member company PERMAcast. 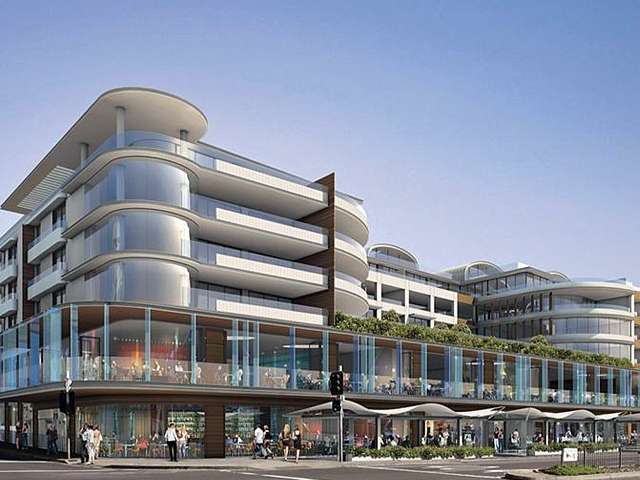 The architect for the project, Taylor Cullity Lethlean, specified a unique design for the waterfront precinct. The precaster used a special Muckinbudin quartz – from the small town of Muckinbudin, about 300 kilometres from Perth – in the concrete mix. A high class, low maintenance finish was also required, so the seats were polished. 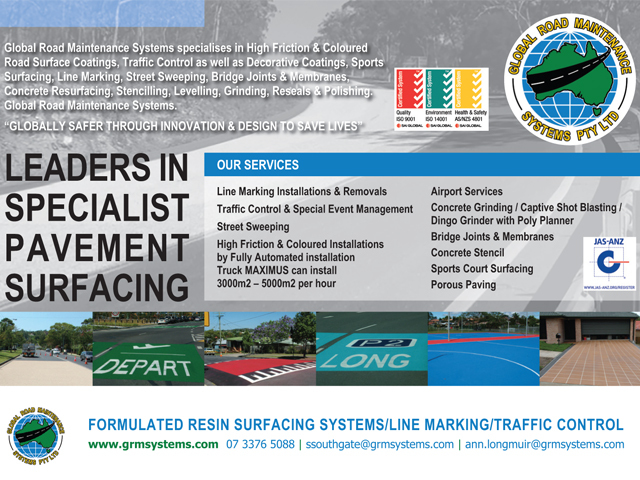 Once the units were polished, a protective anti-stain and anti-graffiti coating was applied, to protect the finish of the concrete from damage caused by weather and people. 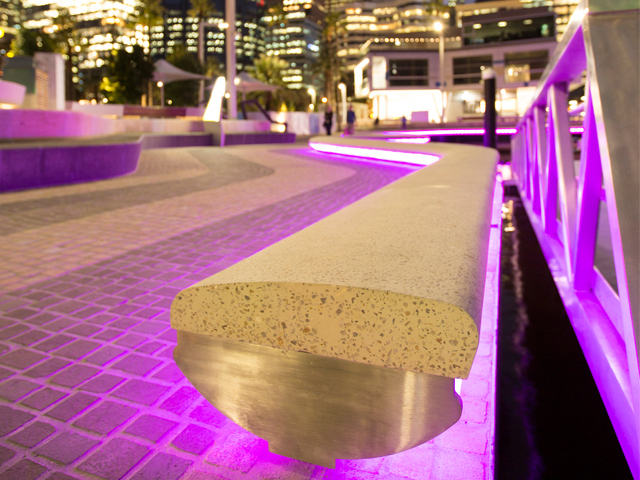 It is projects like Elizabeth Quay that showcase the leading role precast concrete plays in a city’s identity and outdoor spaces. The durability of precast is second-to-none, maintenance is almost non-existent, it is fire resistant, will not be eaten by termites and will last a lifetime. 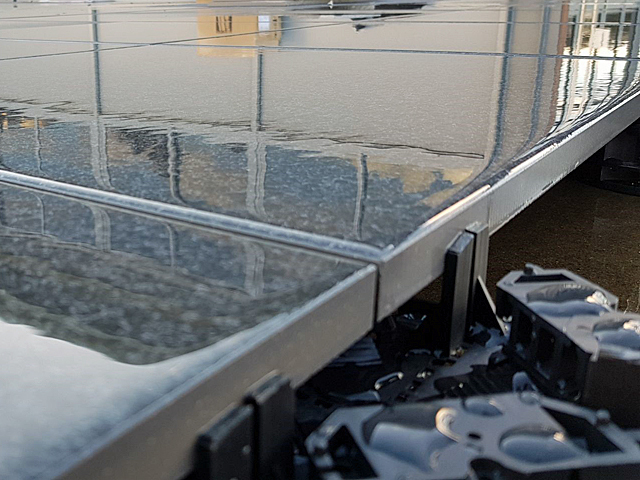 In combination with this, the design versatility in terms of shape, colour, and texture makes precast the ideal solution for landscaping elements with both functional and aesthetic requirements. Contact NPCAA to find out more.